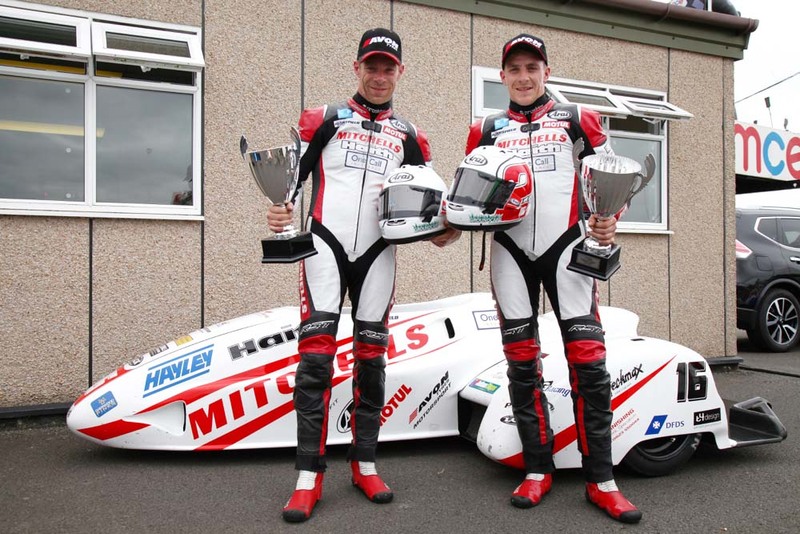 Mansfield brothers Ben and Tom Birchall won all three of their races in the fourth round of the British Sidecar 600 cup at Thruxton over the weekend and now lead the championship by a massive 41 points. 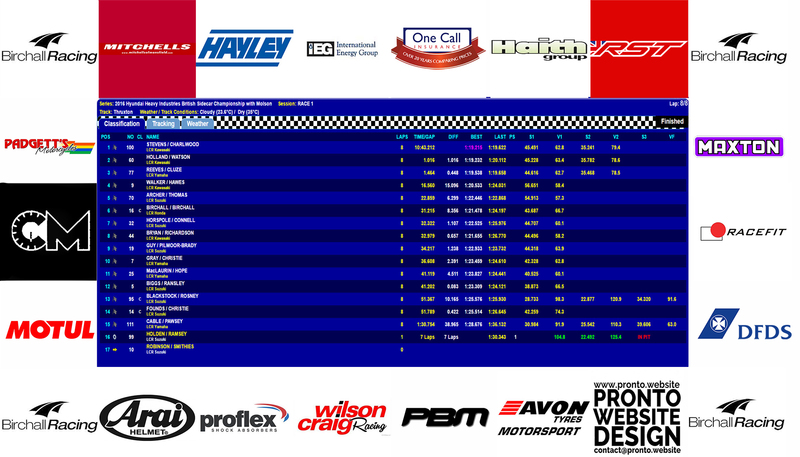 The 600 cup is run within the grid of the British F1 sidecar championship with each set of riders scoring points in their own class. 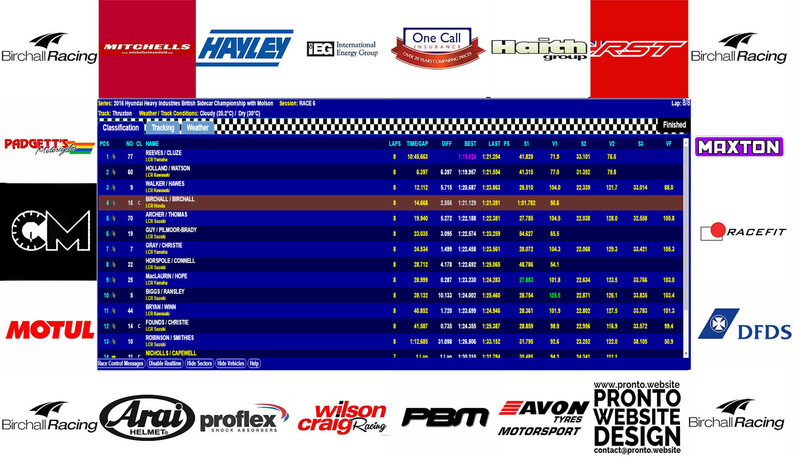 Ben and Tom qualified sixth overall to start the first of three eight lap races from the third row of the mixed grid. The Mitchells of Mansfield supported brothers didn’t get away to the best of starts and found themselves down in 10th position on the first lap although they were well ahead of their rivals in their own class. They made steady progress through the field of F1 outfits to complete the race in sixth position, first in class. Once again starting from the third row Ben and Tom got away to a better start, being seventh on the opening lap. They powered the LCR Honda through the pack to finish fifth and again won their own class. In the final race of the weekend the Mansfield pair again began their campaign from a third row grid position and were soon mixing it with the F1 class machines. By lap three they were up to fourth place and reeling in the riders ahead, shaving three seconds from the third placed machine on the final lap. But it was just not quite enough for them to make the pass and they crossed the finish line in fourth place taking their third victory in the 600 Cup class. “We had a great weekend of racing at Thruxton and a flawless performance from our point of view. It was the first time we had been to the Hampshire circuit so we had to learn the circuit before making progress. We got quicker as our circuit knowledge grew and our lap times were on a par with the F1 class machines plus we were closer to the podium in the F1 class than ever before. The next round is not with the British Superbike championship but is an extra round at Mallory as part of the Mallory Bike Bonanza over the coming weekend, July 30-31.